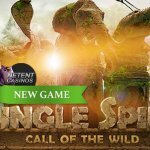 Play Jungle Spirit: Call of the Wild for real! 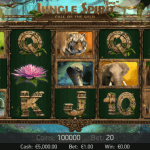 If you decide to play the Jungle Spirit: Call of the Wild™ slot at one of the NetEnt Casinos listed on this site, it will be in no time that you’ll find yourself taken to one of the remotest corners of the rainforest, encircled by thick jungle and the wildest animals. Be amazed by the charismatic Bengal tiger, the jungle elephant, the brown bear, the fearsome crocodile, and the sneaky Naja cobra, all brilliantly pictured by NetEnt’s talented designers. Nothing more relaxing than the sounds of nature, unless some excitement is created with drums and screams of wild animals. I also hear some sounds familiar to my ears coming from an older NetEnt slot identified as Gonzo’s Quest™. While danger lurks behind every tree in the Jungle Spirit: Call of the Wild™ slot, and the king of the jungle, sneaky snake or any of the other wild animals can show up at any moment, I didn’t detect Gonzo doing the moonwalk. Choose to have a wondrous journey through the best of nature, pictured in such a spectacular way, almost surreal. When a big win occurs, you’ll be genuinely perplexed by the quality of the 3D animations used in this jungle-themed video slot. 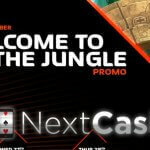 It’s one of the reasons that this adventurous NetEnt game keeps you captivated, although the 243 and 1024 Ways to Win, the five Free Spins features, Symbol Expansions, and the Butterfly Boost might have something to do with it as well. If it comes to the animations used in the Jungle Spirit: Call of the Wild™ slot, this video slot can’t be called standard, but the same doesn’t go for the betting options. It all starts with a bet of 0.20 which is pretty average and if you want to spice up your game, you can always raise either the seven different coin values and/or five levels. The maximum bet isn’t that high in this game, probably due to the five bet levels instead of the usual 10. 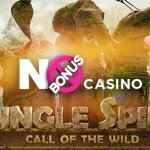 With a maximum bet of 100.00, I’m sure the Jungle Spirit: Call of the Wild™ slot will attract a wide range of players. I don’t know if it’s the animations I am more impressed about or the gameplay which includes some fabulous slot features including the Free Spins, but also the Butterfly Boost and Symbol Expansion features. 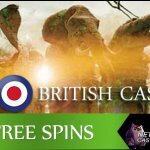 Free Spins seem to be a standard slot feature these days, but NetEnt always knows how to add an aspect that makes this particular slot feature unique again. More about this special free spins feature later, let’s start from scratch, with the 243-bet ways to win, for example. Without win lines no wins and that’s why the 243 ways to win are as convenient as can be. During free spins, this number even goes up and you’ll be amazed what the results of such an increase can be. When three or more dynamic lilies are there to open a whole new world, you’ll find out how it’s possible for the number of ways to win to increase. 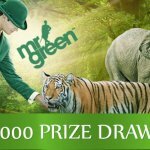 First, it’s up to you to decide if you want to go for the dominance of the tiger (4 free spins), elephant (8), bear (12), crocodile (16), or if you want to go for the sneaky cobra (20) with each of the free spins features having their own advantages. The more free spins, the lower the value of the main symbol. Once you’ve made your choice, you’ll enter the world of free spins after which an extra reel is added to the gameplay, resulting in an amazing 1024 ways to win. This particular slot feature makes me think of the Wonders video slots, a series of jackpot slots that got replaced by the Divine Fortune™ slot in January 2017. To win the jackpot, four or five symbols had to be marked by a yellow star in order to win one of the Wonders Jackpots. No jackpots are available in Jungle Spirit: Call of the Wild™, but I’m sure you’ll be pleased when one particular symbol is added to a symbol. The reason why is because this particular symbol is part of the Symbol Expansion feature. This time no yellow stars, though, but little luminous butterflies. Each symbol in this adventurous video slot, except the Scatter symbol, can be marked by a butterfly resulting in the symbol to expand. If indeed marked by a butterfly, and part of a winning combination, the symbol or symbols will expand to cover the entire reel. These Symbol Expansions are desired because of two reasons. They will be responsible for lucrative wins while bringing a nice slot spectacle to involving some advanced animations. Very much the same as the Symbol Expansion feature, this one will be activated randomly in the main game. At first, butterflies will be surrounding all five reels after which the reels start to move one by one as usual. During this process, some luminous butterflies will mark between one or three symbols. These marked symbols will again expand covering the entire reel.